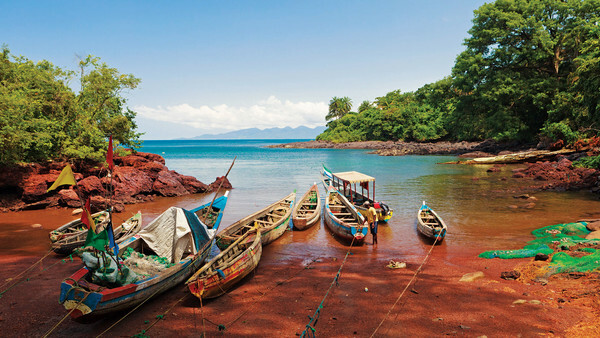 Experience the capital of Freetown, one of Africa’s most enthralling cities. 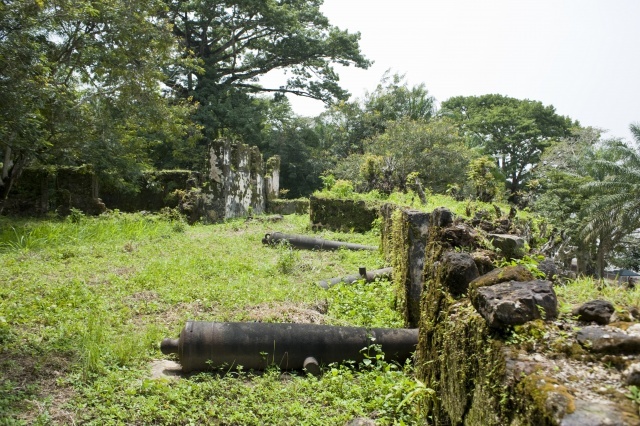 Visit historical Bunce Island, which was once a transit point for slaves sent to the Americas. 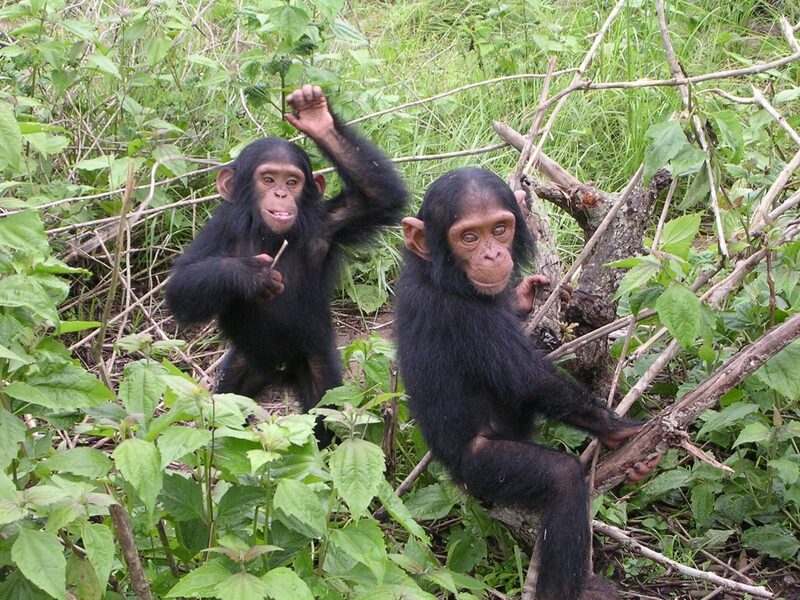 Play with some of the 80+ chimpanzees at the Tacugama Chimpanzee Sanctuary. 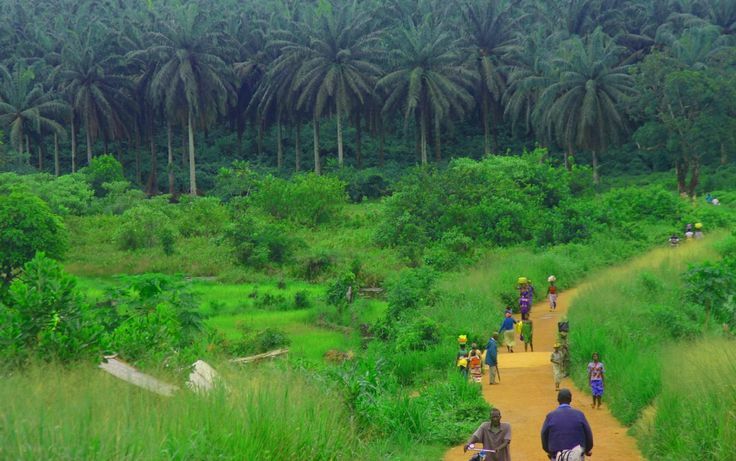 Explore the countryside and mountain towns of Kabala, Kenema and Bo. 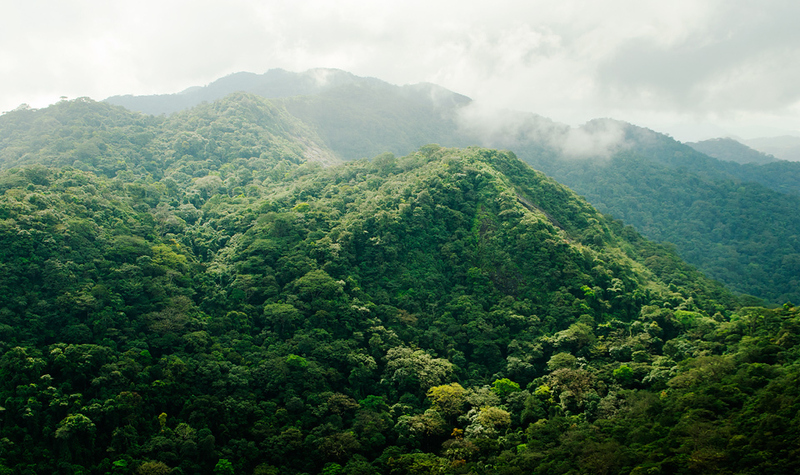 Kambui Hills Forest Reserve, which has over 200 species of birds and is home to the western chimpanzee and various species of monkeys. Two days in wildlife-rich Tiwai Island Wildlife Sanctuary (UNESCO), located in the Upper Guinea forest region (one of 25 ‘biodiversity hotspots’ in the world), with the highest mammalian diversity of any tropical forest. We will have near-guaranteed sightings of some of the rarest wildlife in the world, such as the pygmy hippo. Visit the former British outpost town of Bonthe, now overflowing with crumbling colonial buildings, on rarely-visited Sherbro Island. 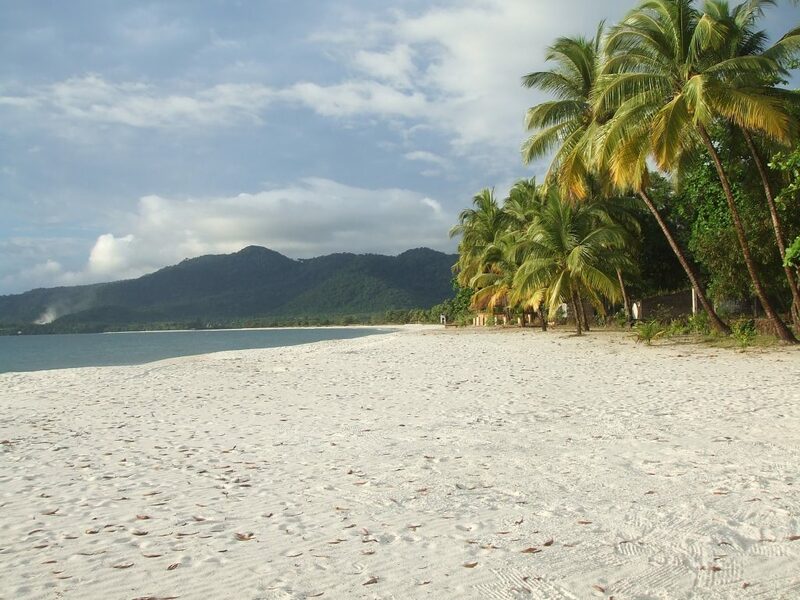 Be one of the few westerners to explore the remote villages and walk along the pristine beaches in relatively untouched Turtle Islands, one of West Africa’s best kept secrets. Get away from it all with a couple days in the exotic and sublime Banana Islands. Meet locals in the 200-year-old historic village of York. 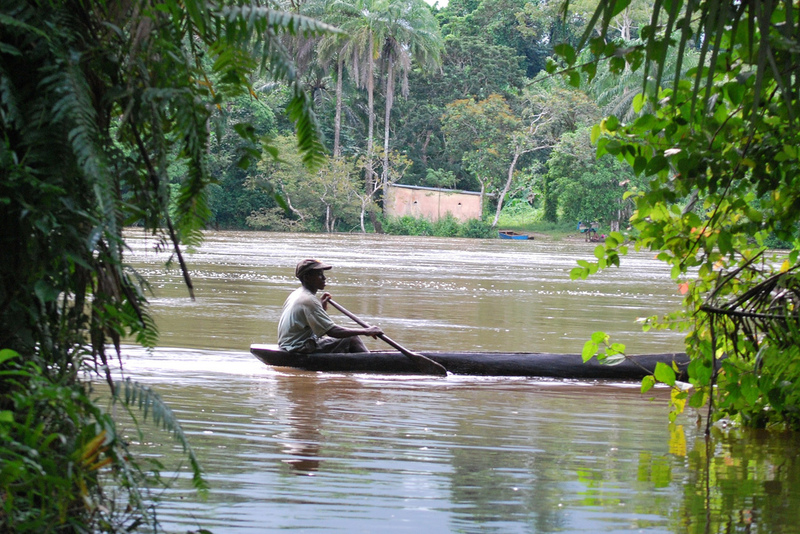 Search for crocodiles by boat off of Tokeh Beach. 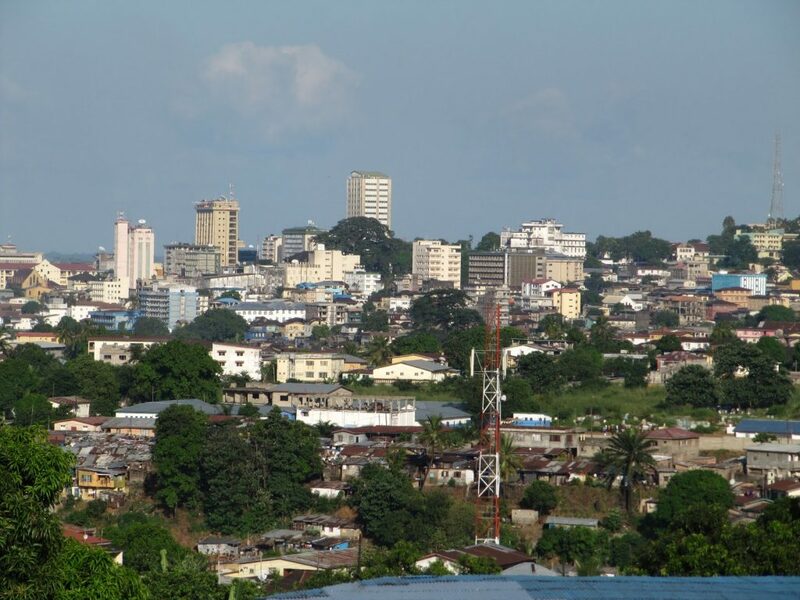 Monrovia, the thriving capital of Liberia. 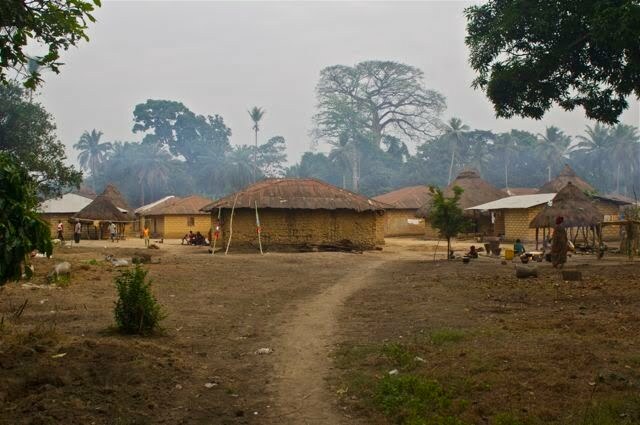 Rural villages throughout the interior of Liberia. Robertsport, a beautiful surfing and eco-conscious town on the coast. 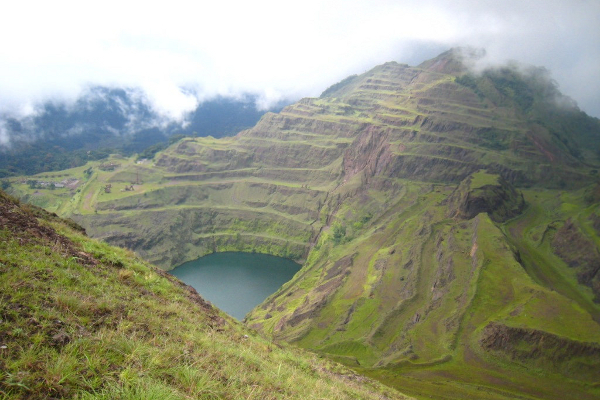 Mount Nimba Strict Nature Reserve (East Nimba Nature Reserve), located on the borders of Guinea, Liberia and Côte d’Ivoire and a UNESCO World Heritage Site, for birding and wildlife. Monkey Island, an island reserve dedicated to the well-being of monkeys once used as medical test subjects. Full services of an Out of Bounds Tours leader with local guides and drivers. 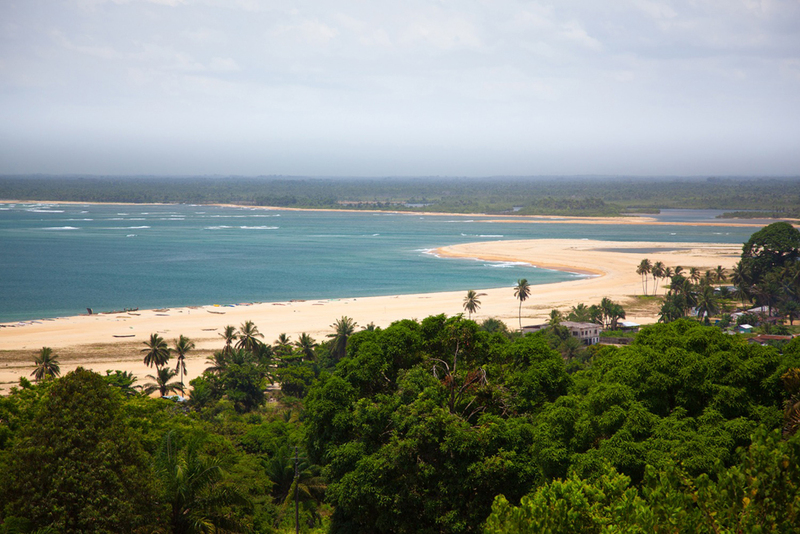 Flights between Sierra Leone & Liberia ($262, Freetown-Monrovia, Kenya Airways). Visa costs for Sierra Leone & Liberia. We begin our Sierra Leone tour on arrival to Freetown’s Lungi International Airport, which is one of the world’s most uniquely-situated airports, where you will be met by your guide and transferred to the hotel. The airport is located on the northern coast of the Freetown estuary, and passengers arriving by plane need to use boats or a helicopter to reach the capital. This evening will be to meet other travelers and at leisure. Overnight at Sierra Lighthouse Hotel in Freetown. We start the morning with a panoramic tour of Freetown, which is unique for its colorful Krio houses with their distinctive metal roofs that were built by the descendants of freed slaves, before heading out to board our boat for Bunce Island, located about 20 miles upriver from Freetown and a former slave trading castle and fortress from the late 1600s. We will spend a couple hours exploring the ruins on the island, including the factory house, fortification, slave prison, watchtowers, dormitories and storerooms. After lunch, we will head to the 100-acre Tacugama Chimpanzee Sanctuary, a multi-nationally supported conservation/rehabilitation park for chimpanzees rescued and slowly being reintroduced to the wild. There are roughly 80 chimpanzees at the center and our excellent guides will teach us the importance of this program and we will enjoy some quality time with the chimps. Overnight at an eco-lodge. This morning on our Sierra Leone tour, we will spend a little extra time with our new chimpanzee friends at Tacugama before heading to Rogbonko Village. Our base for the afternoon and evening, we will get first-hand insight into life in a functioning Sierra Leonean village and take canoe tour, explore the village, and spend some time talking to the villagers. Overnight at Rogbonko Village Retreat. Today we will head north to Kabala, set among rural landscapes and mountains. We will have time to admire our surroundings and walk along some fantastic trails in the lovely countryside. Overnight at MJ Hotel in Kabala. After breakfast, we will make our way to Kenema. 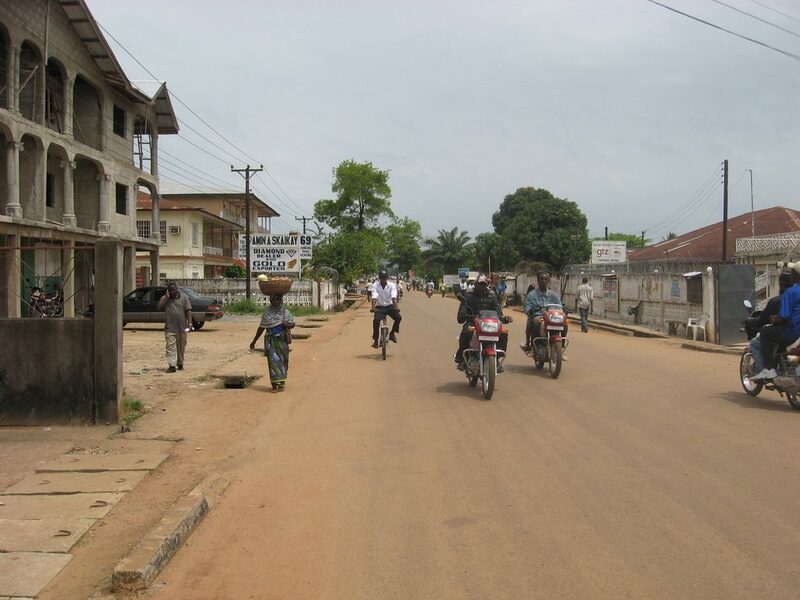 Sierra Leone’s third-largest town beautifully situated among the Kambui Hills, Kenema is an energetic town and one of the main diamond centers of the country, but retains a welcoming and friendly feel. Shortly after arrival, we will head just 5km outside of town to pay a visit to Kambui Hills Forest Reserve, which has over 200 species of birds, including the long-tailed hawk, black bee-eater, and Fraser’s sunbird, as well as being home to the western chimpanzee and various species of monkeys. Later we will return to town and spend some time ‘window shopping’ for diamonds and taking in the unique atmosphere among the hundreds of locals buzzing along on their motorcycles. Overnight at Luawa Resort Hotel in Kenema. This morning on our Sierra Leone tour, we will travel to Tiwai Island Wildlife Sanctuary, a true highlight of West Africa and a UNESCO World Heritage Site. During our base here for the next two days we will spend time visiting this stunning and remote sanctuary by canoe and motorboat along the bird-filled cluster of islands on the Mao River and overland to admire the wide variety animal life such as the pygmy hippo, chimpanzees, monkeys (including the globally threatened Diana monkey and olive colobus monkey), mongooses, otters, rats and squirrels, including the African giant squirrel, and shrews. Tiwai also has some 135 different species of birds and 700 species of plants are found within the area. Overnight in comfortable tented camps. 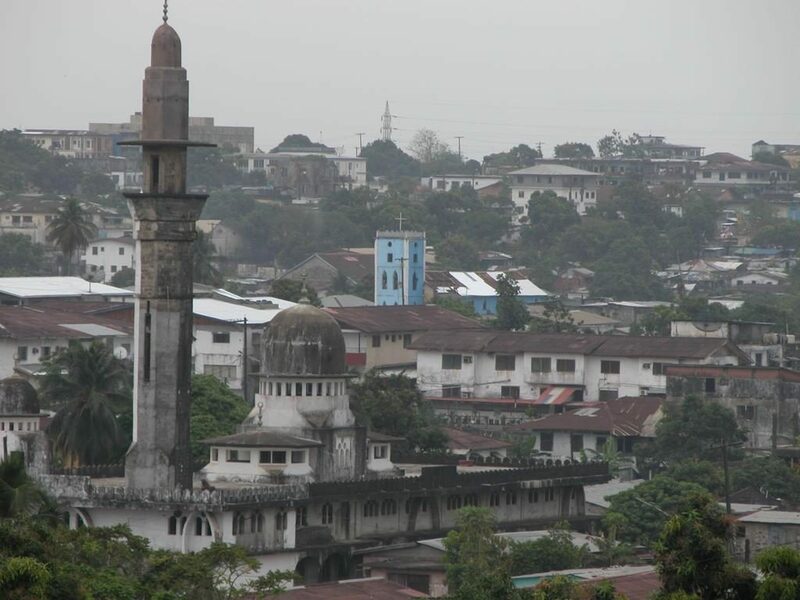 After breakfast, we travel to the busy tropical town of Bo, Sierra Leone’s second largest city and one of the most ethnically diverse cities in the country, with an equal amount of Christians and Muslims and a large Liberian community. Bo is also well-known for its lively university-student atmosphere and is chalk-full of diamond dealers. We will spend some time exploring the city center and markets. Overnight at Dohas Hotel in Bo. Travel to the coast where we will head to the rarely-explored Sherbro Island. 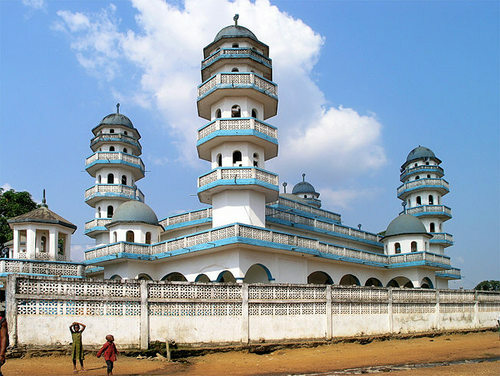 We will visit the former British colonial city of Bonthe, which has several beautiful stone churches and a rich culture. Great Britain previously established a post on the island as a base for naval operations against illegal slave traders. Over two days we will explore the island by bicycle and by boat. Maribou storks and colonies of pelicans nest on the local shores, seabirds drop in, and kingfishers and tropical birds can be seen on inland and the island is a breeding ground for green sea and leatherback turtles. Overnight at the Bonthe Village Hotel in Bonthe. 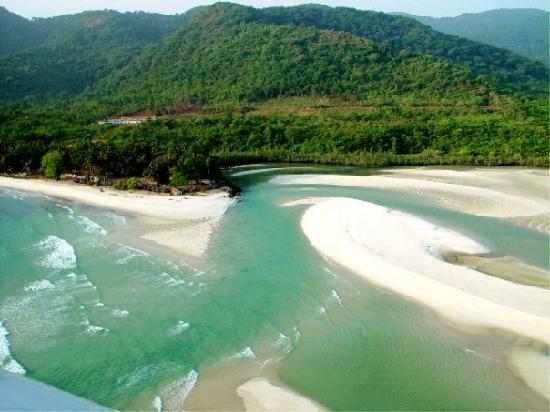 This morning on our Sierra Leone tour, we will travel by private speedboat from Sherbro Island to Turtle Islands. The Turtle Islands are comprised of eight tiny islands – Bakie, Bumpetuk, Chepo, Hoong, Mut, Nyangei, Sei and Yele – and are a virtually undeveloped archipelago just off the western shore of Sherbro Island. Close to the western shore are Sherbro villages such as Tombe and Moyema. The islands are stunning, with beautiful beaches, green palm trees, clear blue waters and friendly people. We will spend two nights exploring this little-visited and truly obscure island group. Plenty of time will be reserved to enjoy snorkeling in the crystal clear waters and nature walks to enjoy the peaceful surroundings and bird life. Overnight in tented camps. Today we will head back to the mainland and Kent Beach and then sail by boat roughly two hours to Banana Islands where we will check into our chalets at the Banana Island Guesthouse, our home for the next two nights. 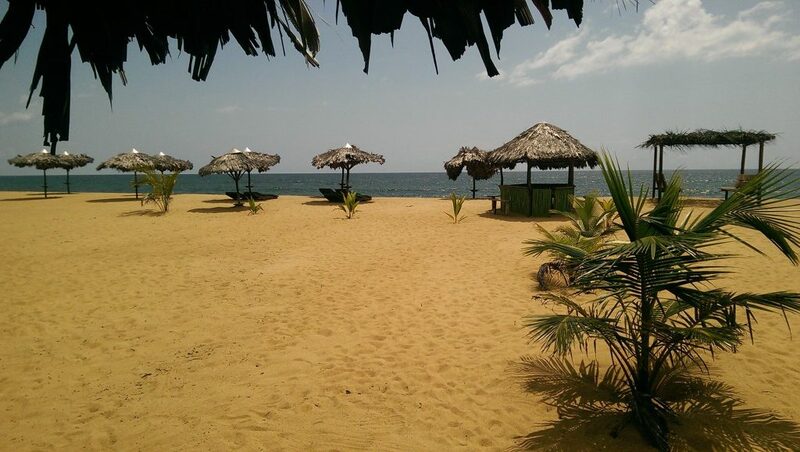 These pristine islands are a wonderful place to experience laid-back Sierra Leone and there will be various activities available for everyone, including snorkeling and fishing and we will take a scenic boat trip around the island. 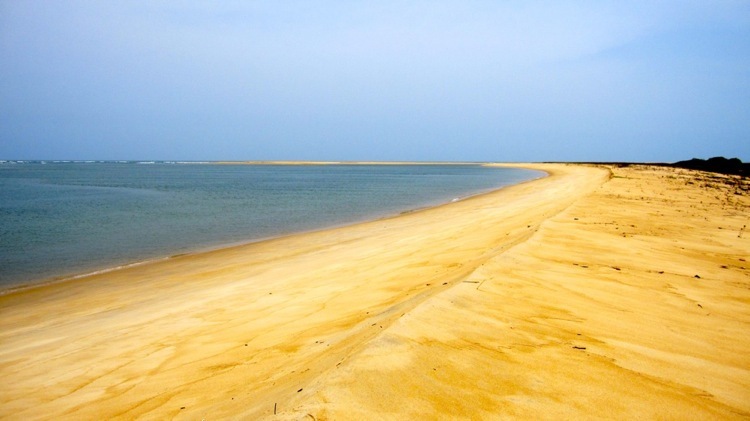 On day 2 we will have an insightful land tour of the island and set aside some time to explore on our own around this virtually unknown area of West Africa. Dinners will consist of locally-caught fresh lobsters. Overnight in comfortable eco-chalets. We will leave the beautiful Banana Islands behind and make our way back to the mainland at Kent and head directly for the village of York, a 200-year-old and predominantly Christian town with beautiful churches. 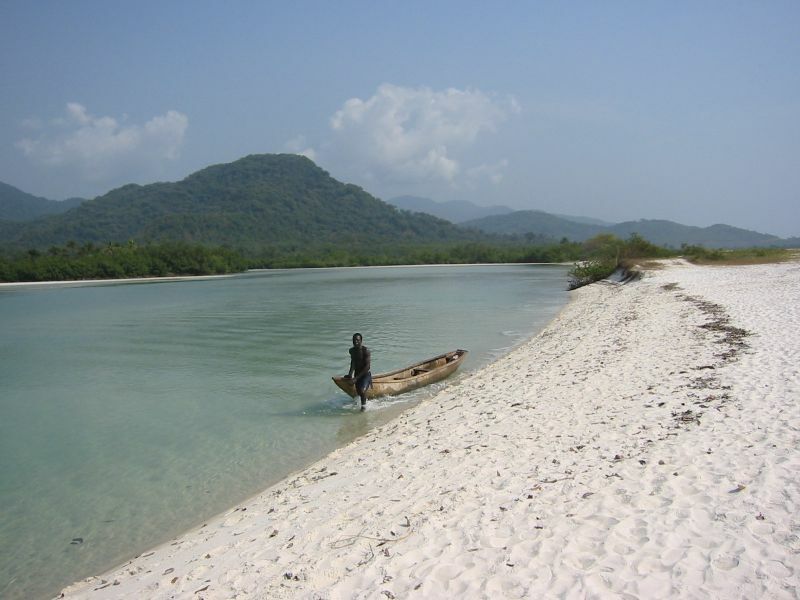 Next on our Sierra Leone tour, we will make the short trip up to Tokeh Beach, a paradise of sorts where we will enjoy a short trek around the area and take a river boat cruise in search of crocodiles. Overnight at Tokeh Sands in Tokeh Beach. 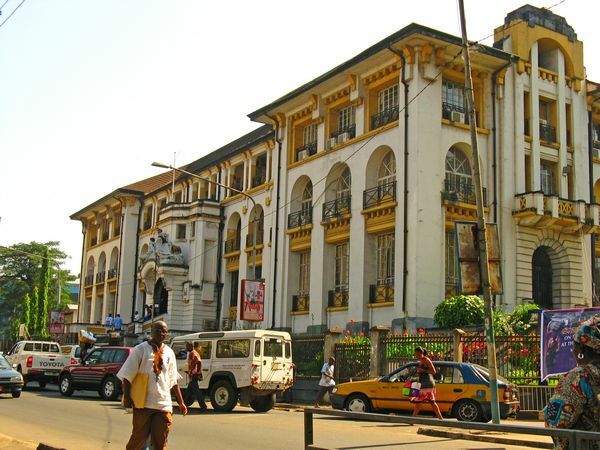 Early this morning on our Sierra Leone tour, we will head back to Freetown, where we will have our final look around the vibrant city and make a sweep through its historical core. Sites of the day will include atmospheric Lumley Beach, the St. Georges Cathedral, the Railway Museum and National Museum, the Maroon Church, Martello Tower, the Cotton Tree, and Fort Thornton (where the Presidential State House now stands). Overnight at Sierra Lighthouse Hotel in Freetown. This morning on our Liberia tour, we will transfer by boat to the Freetown airport and be assisted with check in procedures for our departing flights to Monrovia on Kenya Airways. Arrival at Robertsfield International Airport (ROB) in Monrovia and be met by reps and transferred to our hotel. Depending on the arrival time, there may be time to visit the city. Overnight at the Mamba Point Hotel in Monrovia. 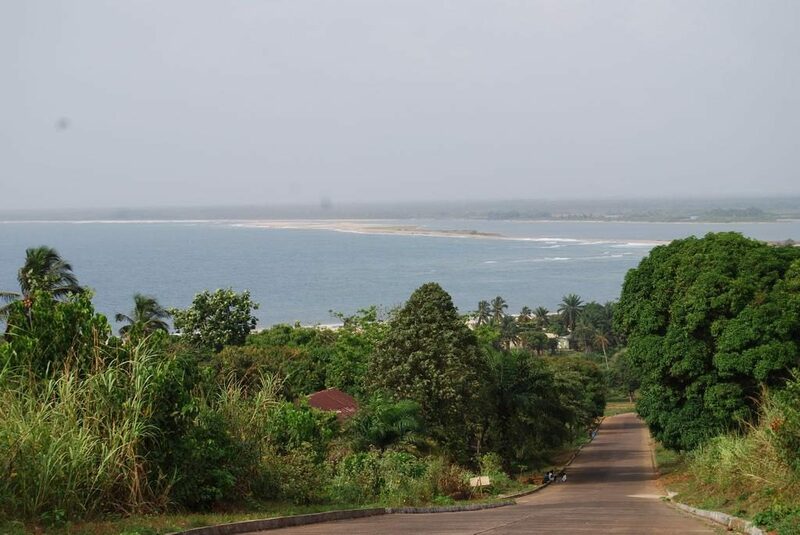 After breakfast, we will make the three-hour drive out to Robertsport, which is famous for its surf conditions, offers beautiful beaches, hiking and is of historical importance. Many of the first US settlers, including the first President of Liberia, arrived via this port. The land is now scattered with large plantation-style Victorian homes similar to those of Virginia. Enjoy a bonfire and barbecue night with fresh local fish and seafood (if available) Overnight at Nana’s Lodge in Robertsport. This morning on our Liberia tour, we will have a few activities on offer today at Robertsport, including rainforest hiking in search of wildlife and birds, swimming off the beach, visiting nearby Messima village, or surfing. In the late afternoon, we will return to Monrovia. Overnight the Mamba Point Hotel in Monrovia. We start the day with a tour of Monrovia, before continuing out into the countryside with a stop for lunch at Wulki Farms, the largest livestock and vegetable farm in Liberia. Later we will go past rainforest and tiny villages en route to visit Kpatawee Waterfall, located about an hour outside of Gbarnga. Covered by the lush canopy, this tumbling waterfall and large natural swimming pool offer a great way to relax and enjoy Liberia’s natural wonders. 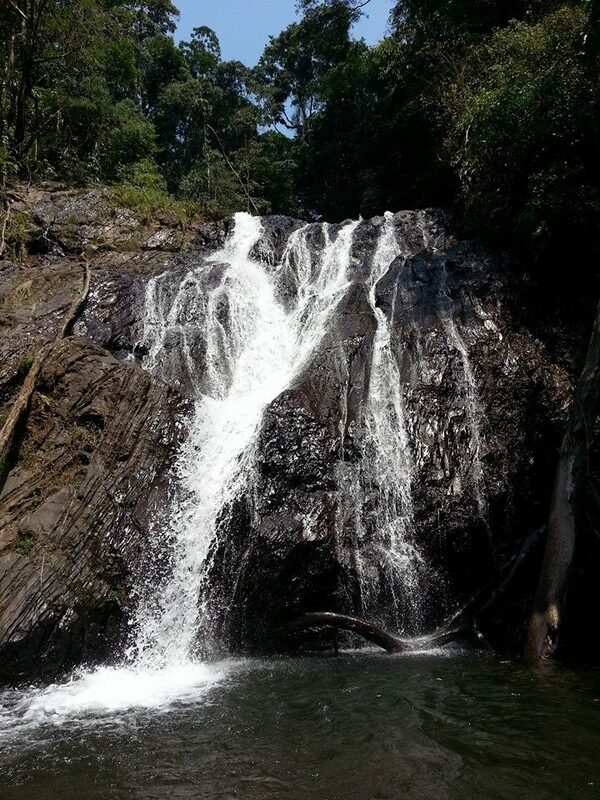 We can also take a hike through the rainforest to see Kpatawee’s twin falls. Overnight at a guesthouse in Gbarnga. 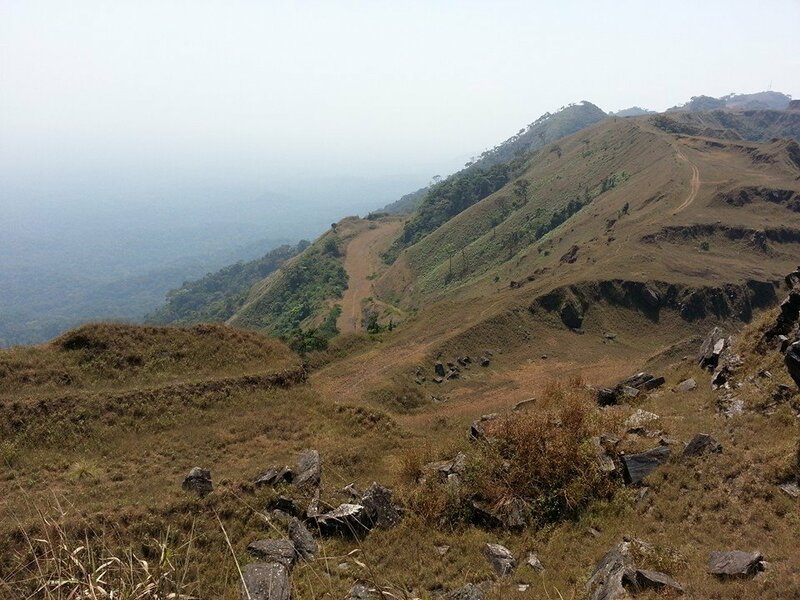 Drive to the top of Mount Nimba, a UNESCO World Heritage Site (3 hours), and visit East Nimba Nature Reserve (ENNR), which is located in the north of the country covering 13,569 bio-diverse hectares. The reserve borders both Cote d’Ivoire and Guinea and covers much of Liberia’s share of the Mount Nimba Mountain range. 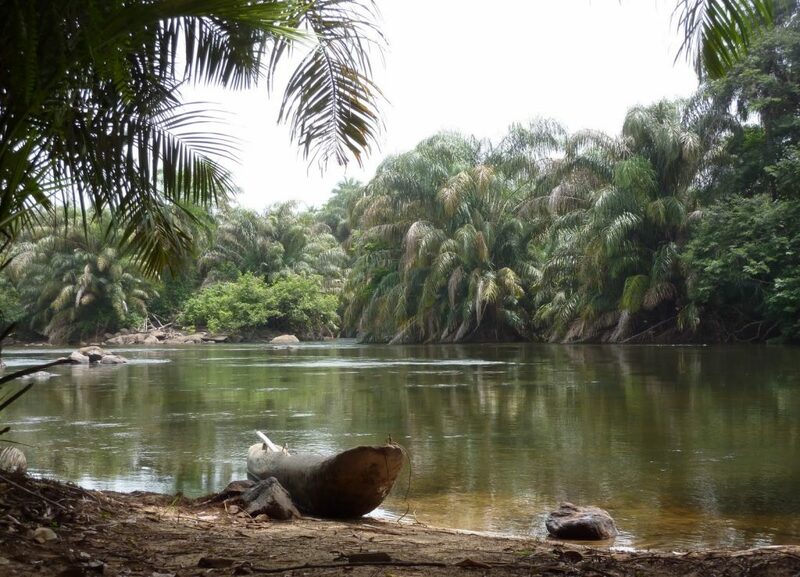 An extremely geographically unique area with more than 200 endemic species, ENNR is home to some endangered species, including the Nimba toad and the West African chimpanzee. It was officially established as a reserve in 2003. Overnight at a guesthouse in Sanniquellie. This morning on our Liberia tour, and after an early breakfast, we will spend the majority of the day in search of wildlife and birds throughout the beautiful East Nimba Nature Reserve. Overnight at a guesthouse in Sanniquellie. Today we will head to Libassa Ecolodge, located 30 minutes outside of Monrovia in a stunning location between a lagoon and the Atlantic Ocean. It’s a family owned business, and the founders built the lodge, which is made up of hand-built double cottages, over three years, working with the local community who they trained with skills in carpentry and hospitality. You can either enjoy the natural surroundings around the palm-fringed beaches or be on the lookout for some of the exotic birds known to frequent the area. Overnight at the Libassa Ecolodge in Kpan’s Town. 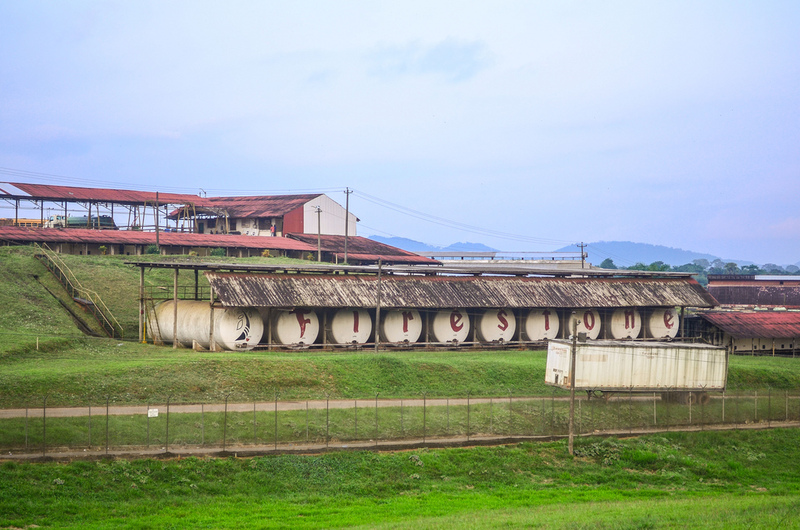 Today on our Liberia tour, we will visit the world’s largest rubber plantation, Firestone, a part of Liberia since 1926. This plantation has been well maintained over the years and offers vast beautiful views of elegant white rubber trees. Our guides will teach you how the trees are tapped, and the rubber is made. We will then venture out to Monkey Island, located in Marshal, which is a sanctuary for chimpanzees who were once used as test animals at the local research institute. Pressure from advocacy groups to stop experiments on chimps, coupled with a lack of funding, has resulted in closings of such institutions and thus, in need to find a home for all these primates who could not survive on their own in the wild. 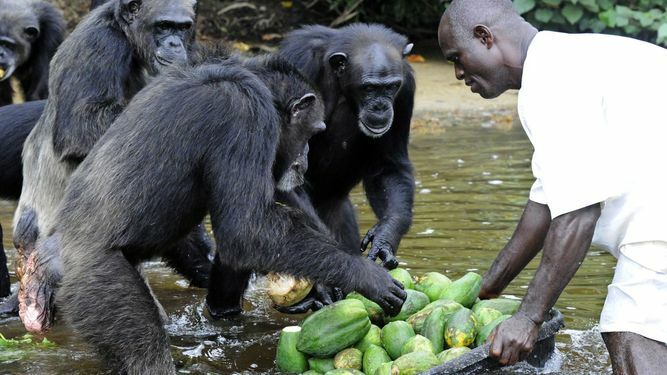 The chimps are fed daily by locals who use canoe’s to visit the chimps from a safe distance. We will join on the canoe ride to see these beautiful animals. In the afternoon, we will return to further explore the surrounding areas of our lodge and have several activity options available. Overnight at Libassa EcoLodge in Kpan’s Town. 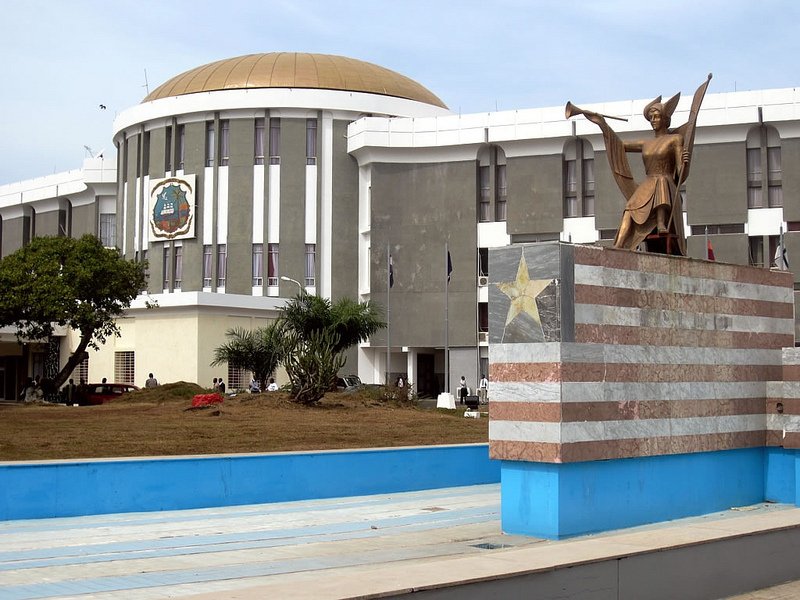 We will return to Monrovia and the airport and bid farewell to Liberia.